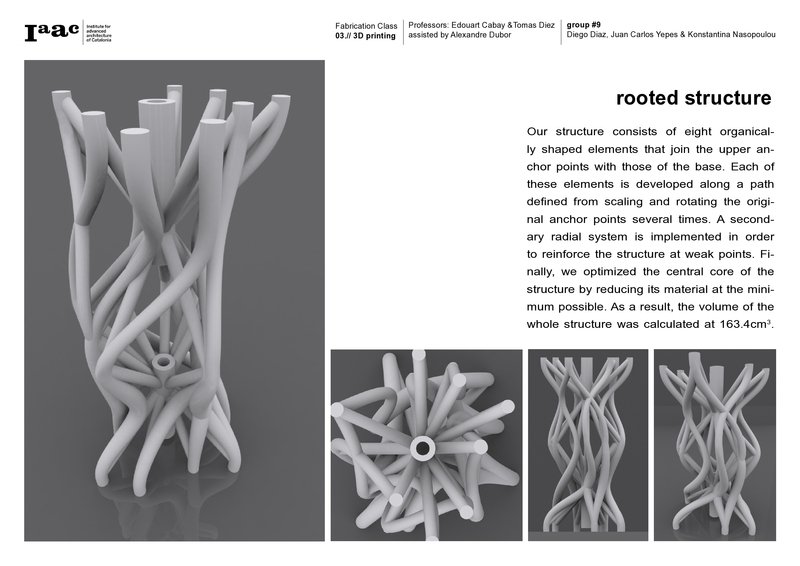 Today the MAA students presented the work of the 2nd Digital Fabrication exercise. 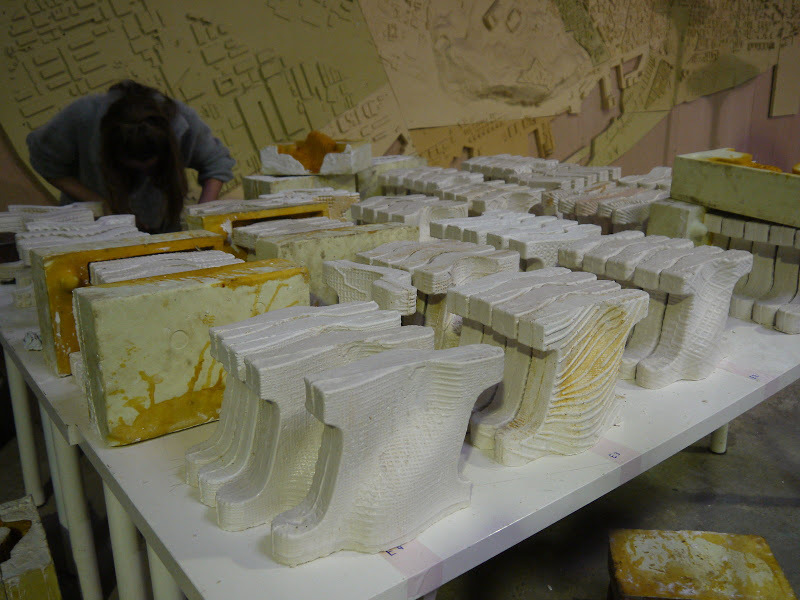 The aim of this project was to explore 3 dimensional manufacturing processes by the use of the CNC milling machine, and the development of molds for casting pieces. 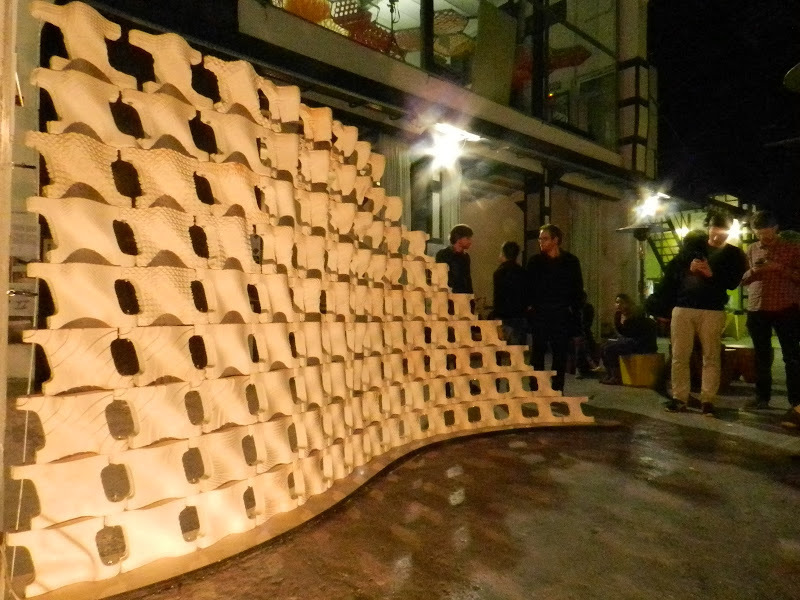 The work has been focused in the design of a construction brick module, the fabrication of its mild, and the process of casting the parts to construct a three dimensional wall, which has generated a spatial installation in the IAAC building. 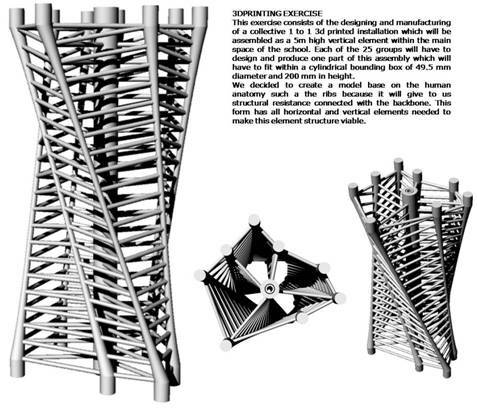 Today during the digital fabrication class it has been presented the first assignment results. 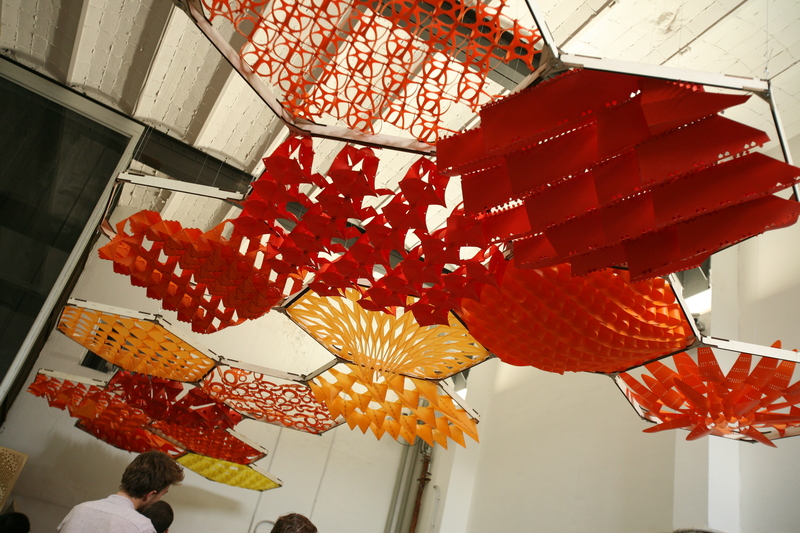 This first step has been focused on the development of a system based on component proliferation using the cutting machine; the main requierement of the exercise was to reach a focal point of the two windows in one of the main rooms of IAAC, creating a virtual ceiling to generate a continuos surface in the space. 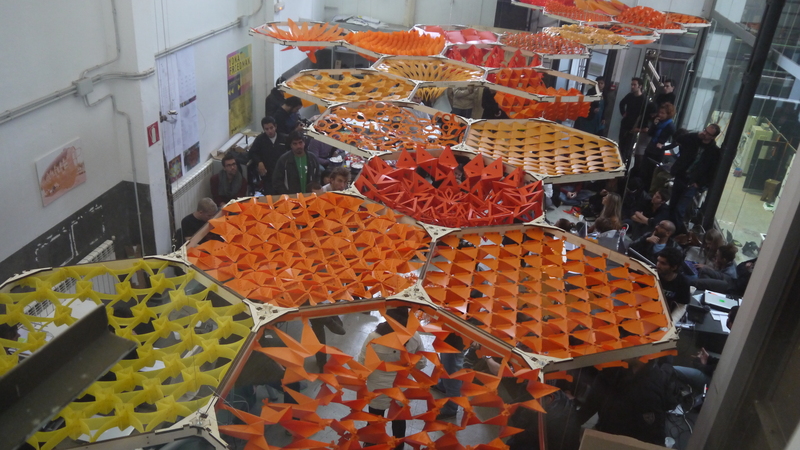 Students assembled all the cutted components and installed them in the hexagons given as a work area. 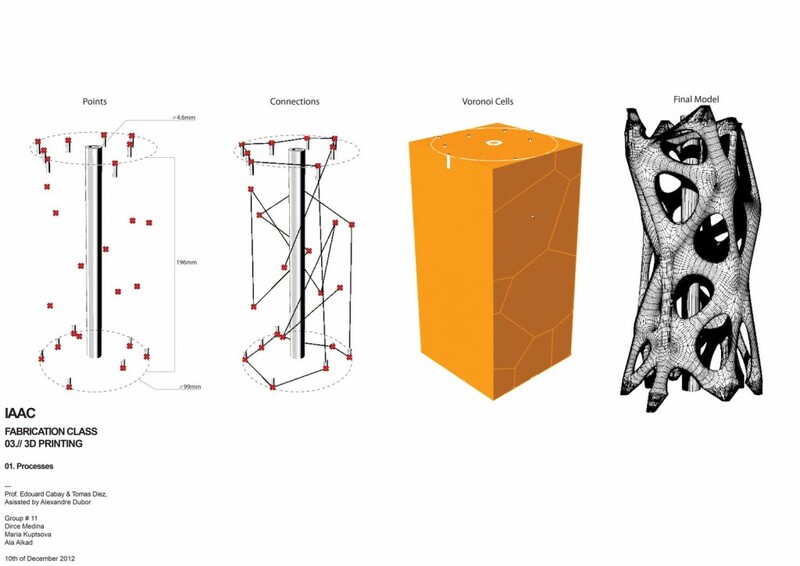 25 groups (of 3 students each) developed different proposals using polypropylene as base material, together with the plywood structure of the hexagon. The project consist in the design and manufacturing of a piece which had to fit within a cylindrical bounding box of 49.5 mm diameter and 200 mm height. It was necessary to respect a central core consisting of a 3mm thick tube with a 3.75mm radius hollow space at its center. 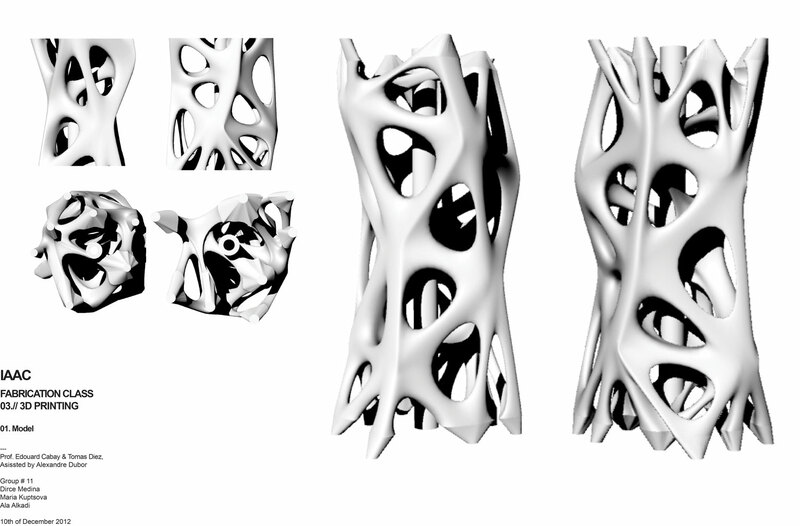 The principal aim was the structural and material optimization, working primarily in an anticlockwise direction.